Skull Kid's "Getting Started With Cosplay!" FAQ! Hey there, I'm Skull Kid! You might've seen me from one of those Internet things. Among a bunch of other daft hobbies, I like to make my own cosplay costumes. And now, so can you! Follow my incredible guide and you too will be spending all your money on fabric, foam and sewing machine repair like a pro. 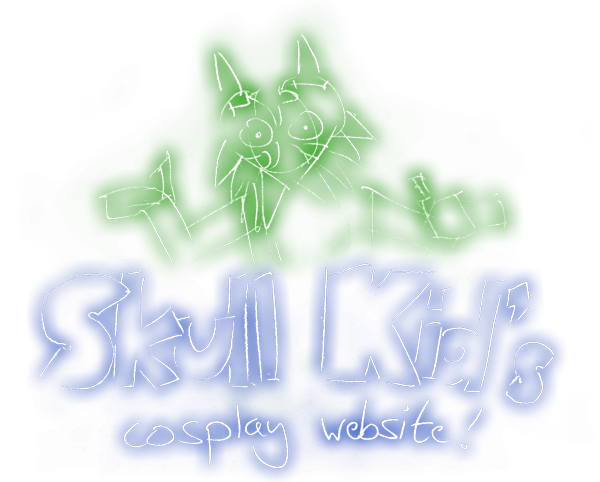 I was Skull Kid at MCM Manchester Comic Con 2016, MCM Liverpool Comic Con 2017, MCM London Comic Con May 2017 as well as "Hotshot The Overlynx" from Interpose! Written by Matt Carr! mrdictionary.net nonsense. Questions? E-mail 'em to me, skullkid@mrdictionary.net!